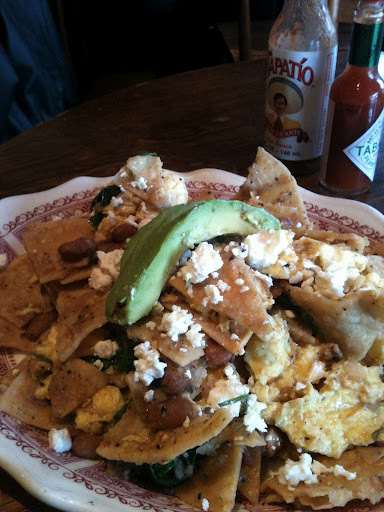 My chilaquiles obsession continues unabated. 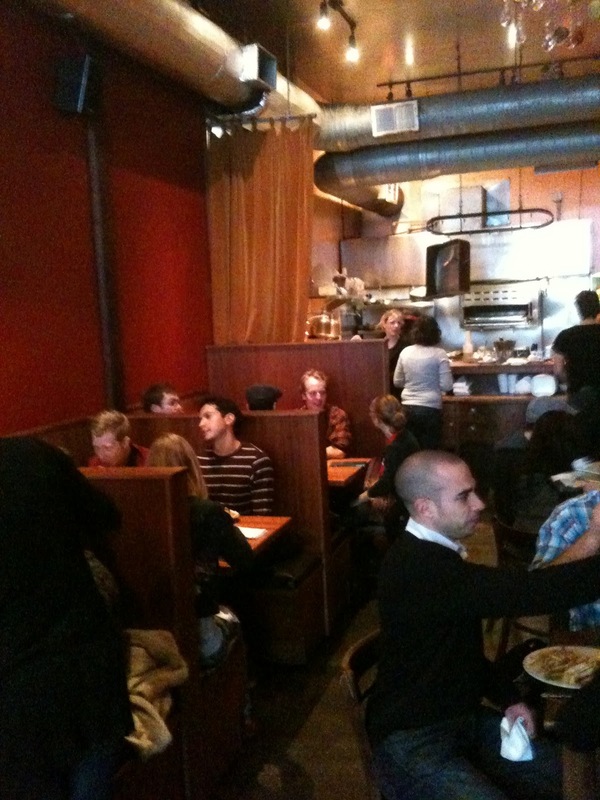 My first meal in SF was at Luna Park, a lively friendly restaurant on Valencia Street in the heart of the Mission district. 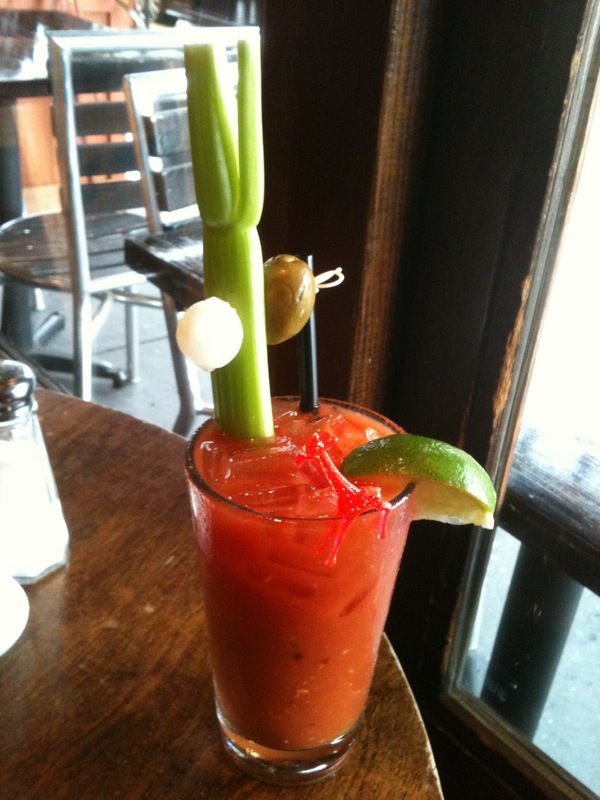 First off the waitress was a hoot and alerted me to the 2 for 1 Bloody Mary brunch special (at $9 it’s hardly much of a special) but damn this Bloody Mary could be Brunch! Pickled onion, a huge green olive, a wedge of lime and a huge stalk of celery. I had no problem slurping down two of them and they were the perfect accompaniment to my equally huge plate of chilaquiles ($11.95) which has the nice addition of cooked spinach and pinto beans tossed into the mix along with the usual scrambled eggs and tortilla chips. 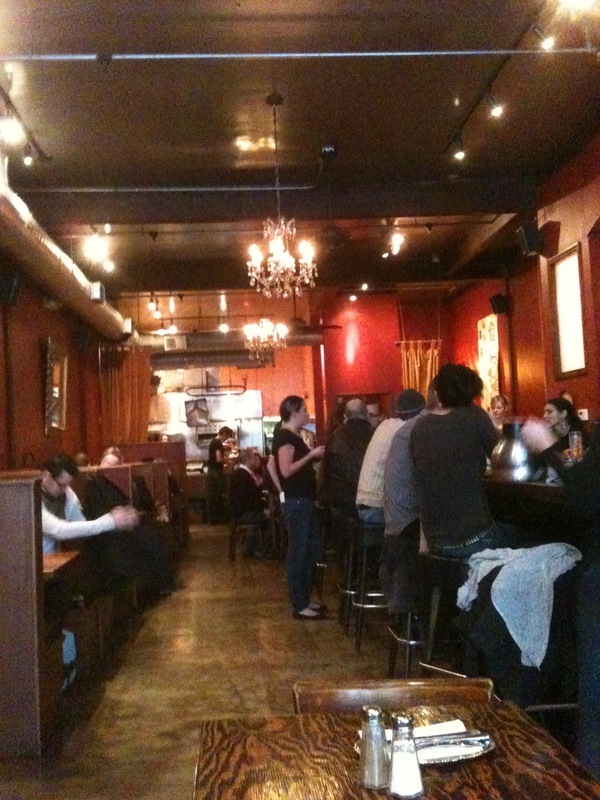 The room is a good size with a big bar, several big communal tables and some really fun booths tucked into the hallway as you go to the bathrooms. Luna Park is the kind of easy-to-love restaurant with good basic food that makes you want to become a regular. I can so easily see if I lived in SF that I would eat here every week! 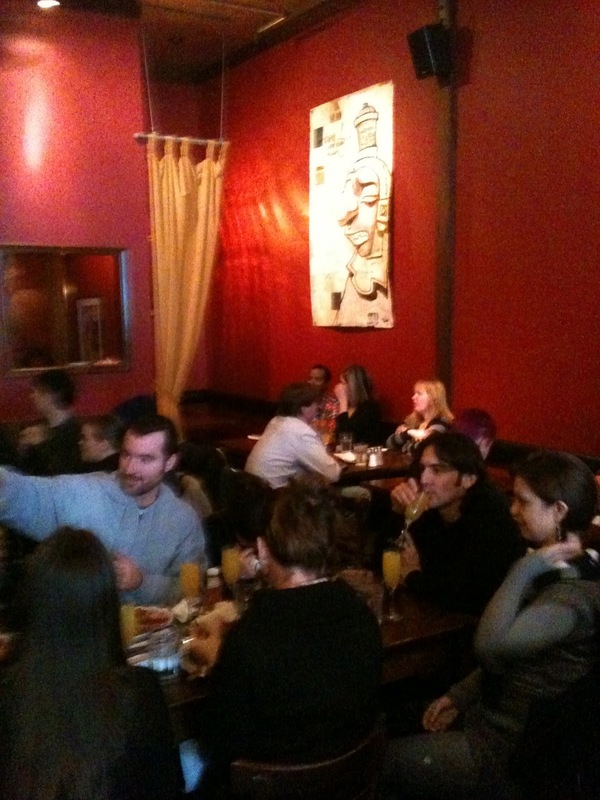 This entry was posted in Travel and tagged Brunch, Luna Park, Mission, San Francisco. Bookmark the permalink.